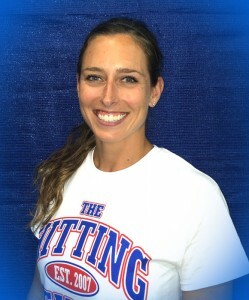 Jaci Davis is in her 10th season as The University of Tampa's pitching coach, where she has been instrumental in guiding one of the nation's premiere pitching staffs. At UT, Davis has coached a pair of All-American's in Deanna Henriott and Kayla Cox. Both rank 1-2 in the program's strikeout records as Cox was named the 2013 Daktronics Ron Lenz National Pitcher of the Year. 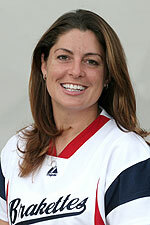 Prior to coaching at UT, she spent two years as Georgia State University's pitching coach. 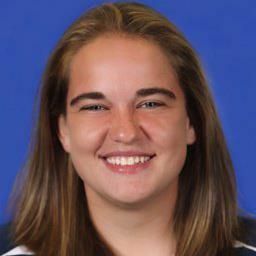 While at Georgia State, she served as the recruiting coordinator, camp director and fundraising coordinator. 2011: Appeared in 40 games and had 38 starts...Led Triton regulars with a .276 average in senior season...Went 3-for-4 with three doubles and an RBI in season-opening victory over Bowie State...Hit .350 in February with five doubles...Had five multi-hit games. 2010: Played in 46 games, with 44 starts, and finished third on team with .281 average...Had 10 multi-hit games, including two hits in her season debut on Feb. 13 against Warner...Had two hits in three straight games in April, including 4-for-6 doubleheader against Ave Maria on April 5...Also had four RBIs in twinbill. Played one season at Indiana Tech where she batted .267 as a freshman. High School: Played at Spencerville High School under Coach Jim Kuhn…Was a two-time NWC Player, three-time sectional champion as well as a scholar athlete…Set the district record for most RBI’s in a game…Hit .440 her senior year. Personal: Born on Dec. 20 in Lima, Ohio…Majoring in management…Names Yadier Molina as her favorite player and the Michigan Wolverines as her favorite team…Daughter of Larry and Amy Cox…Has three sisters (Courtney, Brooke and Shelby)…Grandfather, Larry Cox, Sr., played major league baseball from 1973 through '82 and spent time with the Rangers, Phillies, Cubs, and the Mariners...Also coached in the minors with the Cubs from 1983 through 1989…She chose Eckerd because of the warm Florida weather, campus size, and a new opportunity to play softball at the collegiate level. Any and all payments must be made directly to the specialty coach and not Velocity. Velocity does not have any financial gain or affiliation with any of the specialty coaches listed. These are simply recommendations of coaches our players have worked and had success with.